The thesis of my PhD - can be downloaded here: Imagined Voices [pdf]. 1. 2 projects at OCC (Athens) - The premiere of The Musicians of Dourgouti by Ensemble Artefacts and Der Komponist performed by The Athens State Orchestra conducted by Ilan Volkov. 2. The annual MAZE Festival with concerts in Splendor and Bimhuis. 3. One week in Tchaikovsky City in Russia teaching at the MCME Academy. 4. The premiere of Music for Barges by BCMG on the Birmingham canals for their anniversary celebrations. 5.The premiere of Ode To Man as part of Silbersee’s impressive Homo Instrumentalis production at the Rurh Triennale. 6. Recording with Andy Moor at Xavier Veilhan’s Studio Venezia, the French Pavillion of the Venice Biennale. 7. Vortex with IOU had another showing in Huddersfield University with John Butcher. 8. The beginning of an ongoing collaboration with Ensemble Consord in Munster, with a concert that included Telegraphic and Wavespace. 9. Featured composer at the Gaida Festival in Vilnius, with performances of The Arrest by Synesthesis and Nerve /Tinkling by The Lithuanian State Symphony Orchestra. 10. Two new pieces for MAZE. Trackers (performed in collaboration with Konrad Smolenski in De Fabriek, Eindhoven) and Satyr Drama. 11. And finally the culmination of a 6 year long research trajectory resulting in the thesis: Imagined Voices (A Poetics of Music-Text-Film) for a PhD at ACPA, Leiden University. Premiere of ein schemen (A recomposition of Ein Deutsches Requiem) performed by Remy van Kesteren (Harp), Nederlands Kamerkoor directed by Peter Dijkstra. 6 performances between 12-21 May around Holland. 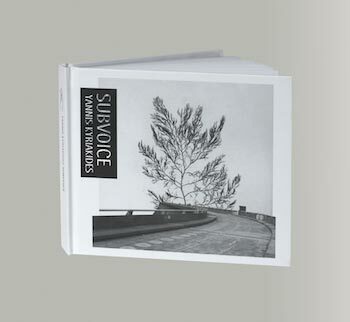 Very happy to announce the release of Subvoice - double CD and book on Unsounds. SUBVOICE is a collection of nine recent works: Words and Song Without Words, Paramyth, Toponymy, Music for Viola, Circadian Surveillance, Der Komponist, Testudo, Politicus, Oneiricon. Works that represent an investigation into ideas of voice and language. The music is built on traces of voices and texts that seem to speak or sing in an intimate form of dialogue, either as text that is directly encoded into music, or in traces of voice that are embedded and dissolved into the musical fabric. Great cast of musicians and ensembles ranging from solo to orchestra. Commissioned by November Music, Bob Gilmore's book on my work is published by teleXpress. Free download ➡ The Ear Of The Voice Of The Eye [pdf].